Vincent is our 60ft mobile Versatower. 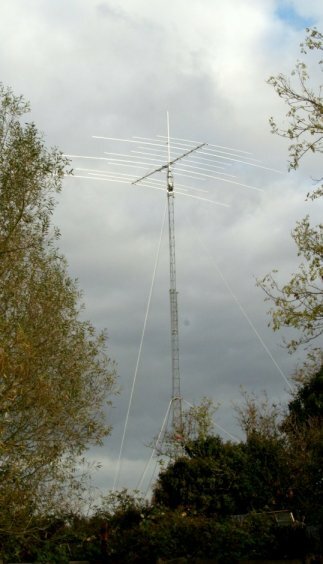 He is the newest addition to our contest group - makes life so much easier and safer, being able to build the antenna array at ground level and then luff it into the air! 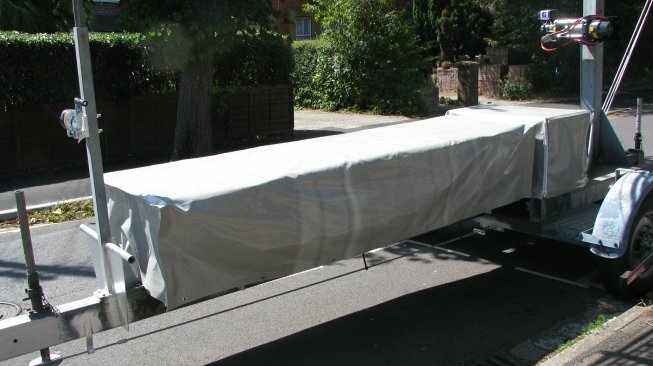 Vincent has had quite a few modifications, all expertly carried out by Darren from Buffalo Trailers in Yeovil. We have also just added a pair of electric winches, courtesy of David Bowyer at Goodwinch, which make raising the mast an absolute breeze. 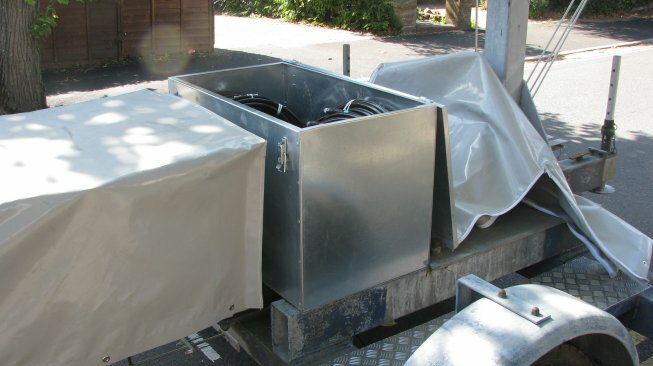 The mast is currently used to support our 2m array, consisting of 4 x 11 element Pro Tonnas. 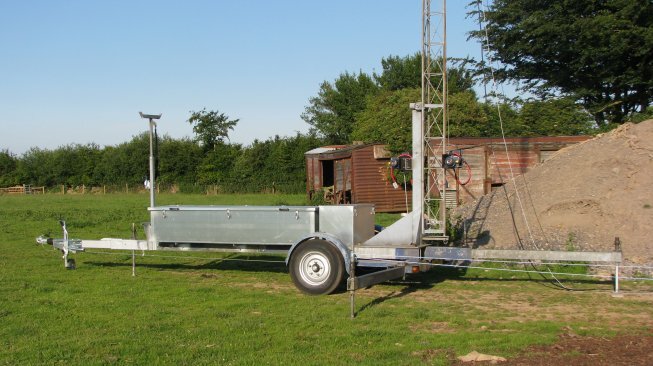 Next year we hope to be entering some HF contests too and Vincent will then be adorned with an Optibeam OB11-3. Not your standard mobile Versatower P60 - that would be too simple! 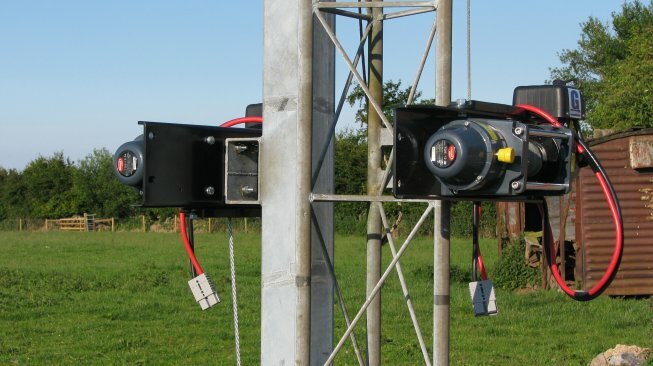 A pair of electric winches for luffing and raising the tower. We use a Pro Sis Tel rotator - loads of torque! 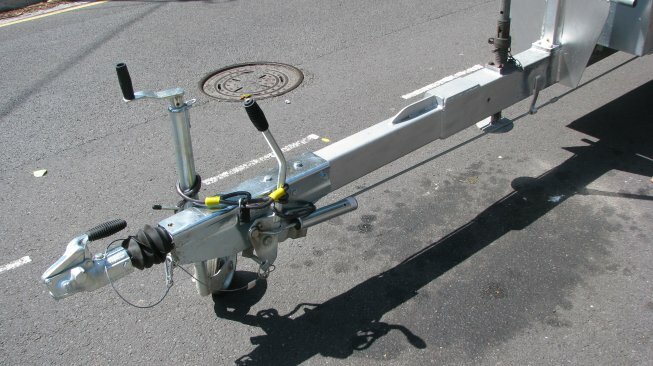 We wanted to be able to keep the rotator cage permanently on the mast, so Darren has extended the chassis by 4ft and replaced the ancient towing hardware. Now what on earth are those enormous boxes for??? The long box at the front stores all the antennas - no more fiddling around with a roof rack - yippee! 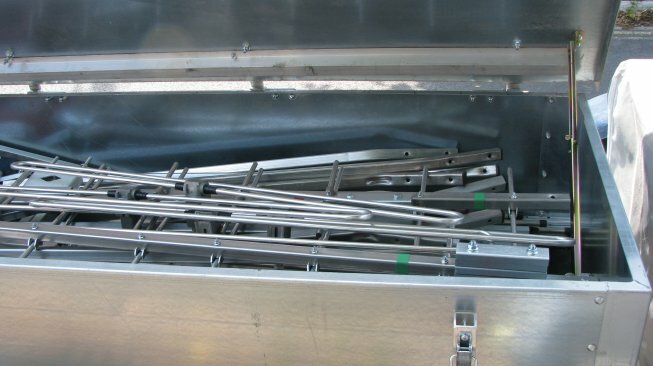 The rear box keeps all the Ecoflex15 coax safe. 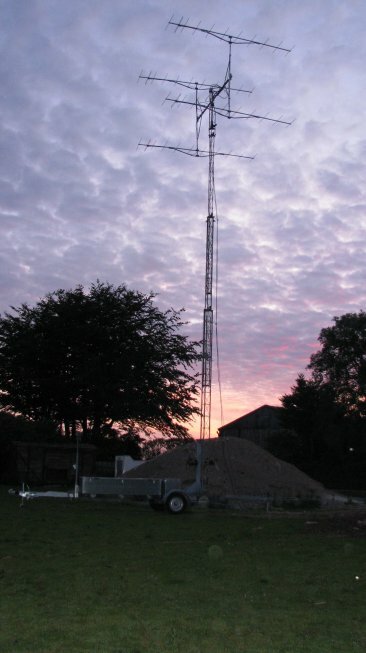 The 2m array at sunset. 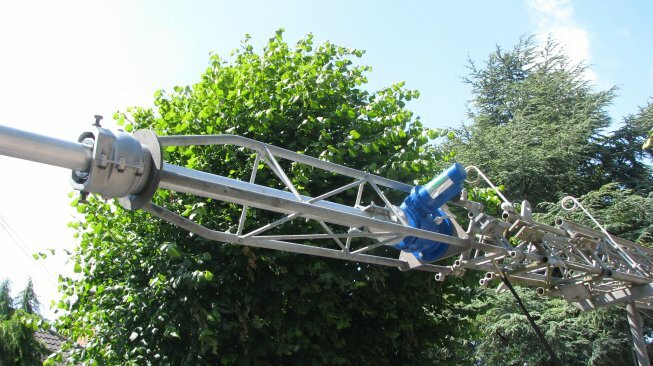 The massive HF Optibeam.